Shopping online is pretty much the way to shop these days. Brick and mortar stores are fun, but at the end of the day, the ability to pick up your mobile device and search for stuff online is just infinitely more convenient. There are a ton of ways and apps you can use to shop for stuff on your mobile device. 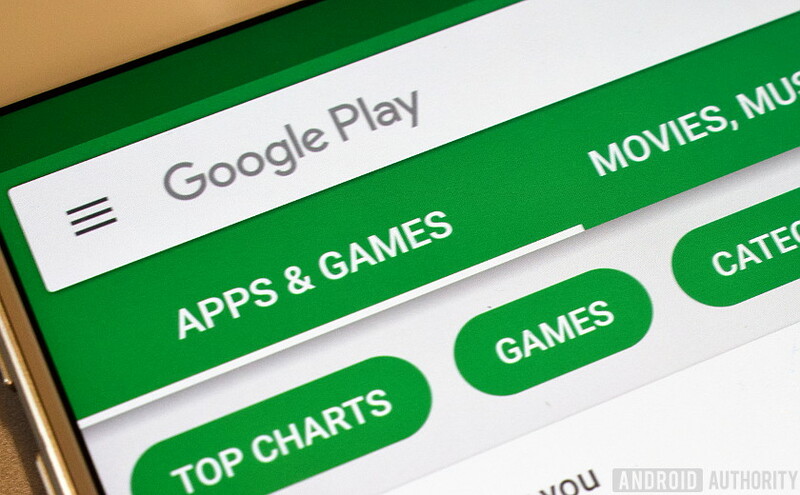 Here are the best shopping apps for Android. Read Next: What does a dollar-saving coupon plugin really cost? 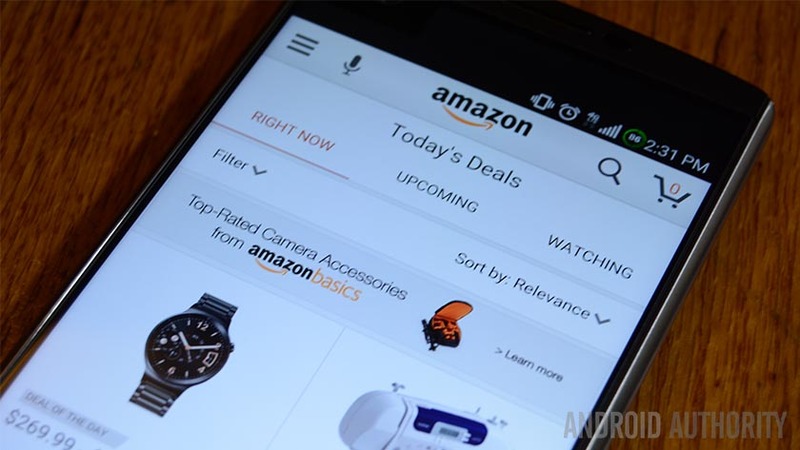 No shopping apps list would be complete without Amazon. It’s the proverbial mega-mall of the Internet and millions of people use it every year. You can find practically any kind of product you can think of and the addition of things like Amazon Pantry even let you shop for food and beverage items. They also have things like Lightning Deals and Deals of the Day where you can find stuff on the cheap if you keep up on it. It’s quick, simple, and easy to understand. You probably already have an account, you might as well use it. You can pay extra to get Amazon Prime which also adds some additional shopping features. Craigslist is as good spot for those diamond in the rough purchases. You can find almost anything from cars to houses, random furniture, electronics, and all kinds of other stuff. It's a bit less secure than other shopping apps. However, a public meeting spot and proper vetting usually negates the problems. Craigslist doesn't have an official mobile app. We've linked up Craigslist Pro because it's a satisfactory third party app. It's completely free with no in-app purchases, but there are some ads. eBay is another ubiquitous name in online shopping. It’s been around forever and everyone knows what it is. The app is pretty decent and lets you do pretty much everything you can do on the website including bidding, searching, purchasing, and checking on items that you’re selling. You can find some great stuff here for good prices if you’re patient enough. It may not be an every day kind of app like Amazon but it’s still fun to browse to see what you might find. It's one of those shopping apps that's always fun to just browse. Etsy is kind of like the flea market of the Internet for indie artists and designers. There are well over ten million items from 800,000 sellers. You’ll no doubt find some truly unique, one of a kind stuff on Etsy and a good percentage of them are produced on limited runs. The app allows you to explore and buy items as well as manage your shop if you’re a seller. It also comes with Google Wallet and PayPal support for easier check outs and you can find upcoming events from sellers in your area for exclusive items. It's one of the more unique shopping apps because many things there are one-of-a-kind. Facebook's app is horrible. However, the marketplace is one of their better ideas. You can surf for things on sale by other people in your general area. There are all kinds of things there. You can find cars, video games, cloths, or whatever you want. It is a lot like Craigslist. Most of the stuff is someone else's treasure. However, you can find something awesome there on occasion. Many people already have Facebook. You might as well take advantage of the service, right? It's one of the better shopping apps for localized stuff. Google Express combines a lot of shopping experiences into a single app. You can find stuff from basically any retailer on the Internet. That includes popular sites like Target and Best Buy along with many others. It's also a good app for price comparisons, finding various deals, Google Assistant support, and it eventually gives you recommendations based on your shopping habits. There are also shortcuts for reordering things and faster checkouts. It's honestly a lot better than it used to be. Google Search has a built-in shopping app along with all of the other stuff it does. Whenever you make a search for a product, you have the option of tapping the Shopping tab. You'll be able to see the item you searched for, what it costs, and most of the websites that sell it. This is a great way to price check against various stores. It's a good way to shop around and ordering stuff directly from a browser website is a lot easier and more fluid than it used to be in most places. Instacart and Postmates are part of a new wave of shopping apps. You order stuff from the app and someone brings it directly to your door immediately. Both apps do different things. Instacart is mostly for grocery shopping. You order food, someone shops it up for you, and delivers it to your door. Postmates delivers just about anything from just about anywhere. Thus, you can shop local places from the comfort of your own home and someone else does the driving. Both apps are free. However, each delivery comes with a delivery charge and, of course, you have to pay for whatever items you buy. Jet is a unique shopping app that lets you shop for various things and get savings when you buy certain items together. It has a ton of stuff for sale so it shouldn’t be hard to find what you’re looking for. You’ll also get free shipping once your order amount gets high enough and you’ll also get Android Pay support, one-click re-ordering, and some odd, but unique tactics like giving you the opportunity to waive return rights in order to save a bit more money. It looks like fun and it’s worth a shot. Krazy Koupon Lady is definitely among the best shopping apps. It's not for your general string of merchandise, though. This one has coupons for everywhere, including stores like Walmart, Target, CVS, Wahgreens, and others. It also surfs coupons from Coupons.com, Ibotta, and Checkout 51. It even has tutorials and videos that teach you how to coupon properly. It's not a traditional shopping app, but we like to think outside of the box here. It's definitely useful for those who prefer to shop in brick-and-mortar stores. We have some more recommendations for you! Newegg is one of the best shopping apps for electronics. You can find all kinds of stuff here. That includes individual components, consumer products, computers, games, office, software, and more. It even has stuff like vacuum cleaners and watches. The company competes directly with brick-and-mortar stores like Best Buy. It does so quite well. Shipping is generally good and the customer service is highly regarded. The Premier account costs $49.99 per year. It's kind of like their version of Amazon Prime. They also accept PayPal. 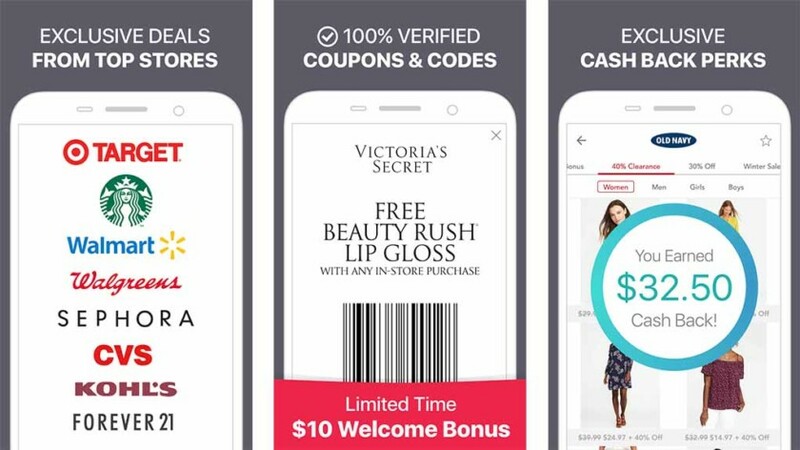 RetailMeNot is one of the most popular coupon apps out there. It features coupons for all kinds of stuff. That includes fashion, beauty products, food delivery, vacation, home and garden, and a lot more. Most coupons are for recognized brands such as JCPenney, Kohl's, and even Amazon. You can't buy stuff from the app itself. However, a timely coupon can get you in the car on your way to go buy stuff. It also features a GPS feature that'll try to show you coupons for places nearby. Shopular is a lot like RetailMeNot. It's a coupons app with a ton of deals for a ton of places. You'll find stuff for recognized brands like Macy's, Target, Cartwheel, and more. It also has a GPS feature. It'll pop up sales and coupons when stores are nearby. It also covers over 1,000 malls. Some of the notifications can be a little bothersome. However, you can turn most of them off if you want to. It's a free app and it can definitely help save a few bucks while shopping. Niche sites, forums, and various communities are great for shopping. There are so many examples that we can't even come close to listing them all. Swappa, for instance, is better for used phones than even eBay. Head-Fi forum members can buy expensive headphones from one another. The Hunt works great for fashion (women's fashion, at least). Massdrop is a massively popular site for all kinds of stuff. There are a bunch of for sale subreddits on Reddit as well. These sites, forums, and apps exist all over the Internet. It may take some time to find them. However, you can usually find some pretty awesome deals on stuff you like. Brick-and-mortar stores and making a larger push toward mobile shopping apps. This is to compete with the big dogs like Amazon and others. There are tons of options out there, including Target, Best Buy, Walmart, and other retail stores. You can even find smaller specialty store apps like Gamestop, individual brand shops like Abercrombie and Fitch, and many others. They won't have a selection like the mega-stores such as Amazon, but it's a good place to go if you're looking for something very specific. Plus, most have the ability to ship to a store (or pick up from a store) so you can pick it up there if you don't want something delivered to your home. Thanks for reading! Here are a few more tempting app lists! If we missed any of the best shopping apps for Android, tell us about them in the comments!